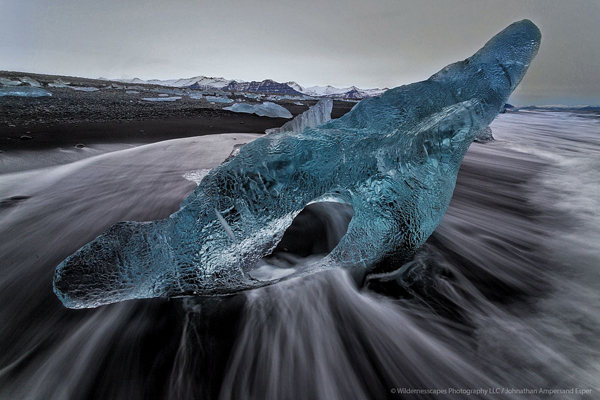 Landscape photographic tour of Iceland. 11-20 March 2018. Fully escorted by Peter Jones ARPS DPAGB & Johnathan Esper. Day 01. Arrival to Reykjavik, connect flight to Akureyri. 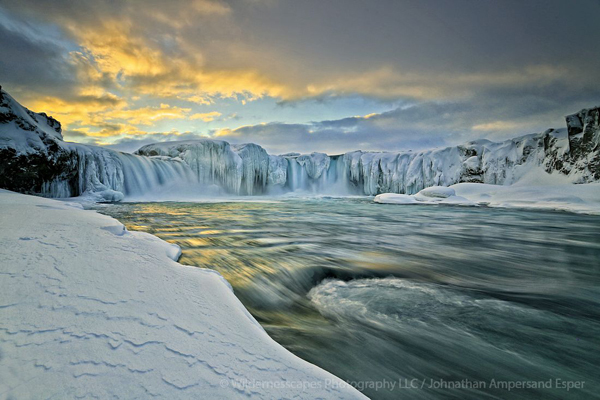 After a short tour around Akureyri, we move to Godafoss waterfall in the northof Iceland. Myvatn Lake and craters, Dimmuborgir and other lava formations, possible hike to Aldeyjarfoss, night/aurora shoot if clear weather. Day 02. Myvatn, Krafla, and other reothermal areas, possible night time aurora photography over Myvatn formations. Day 03. 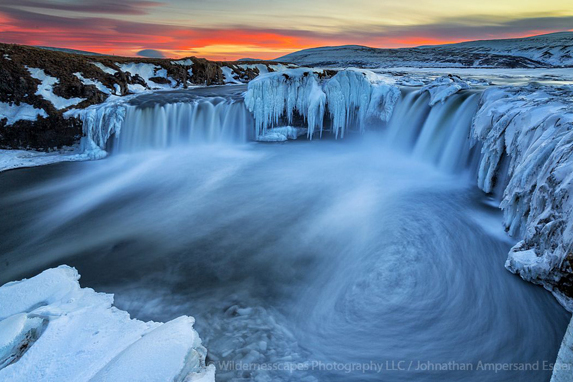 Longer drive to Myvatn region of desolate and barran snowy highlands, with their own photographic charm. Telephoto shots of the road going thru white wilderness. Also some wrapup photography in the Eastfjords. Day 04. The Eastfjords scenery including coastlines, secret waterfalls, and old bridges. Day 05. More waterfalls and gorges of the Eastfjords. Wild Reindeer herds and coastal scenes. 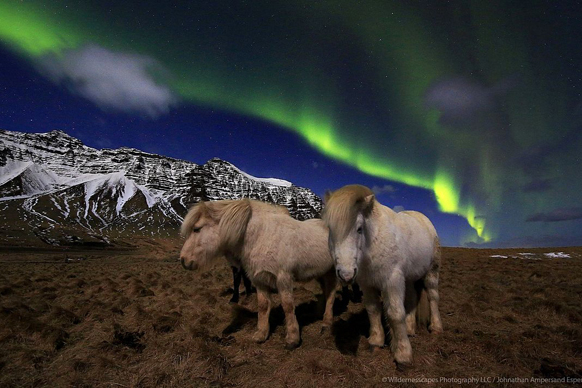 Stokksnes mountain in the Vestrahorn area around Hofn, for sunset and Auroras. Day 06. 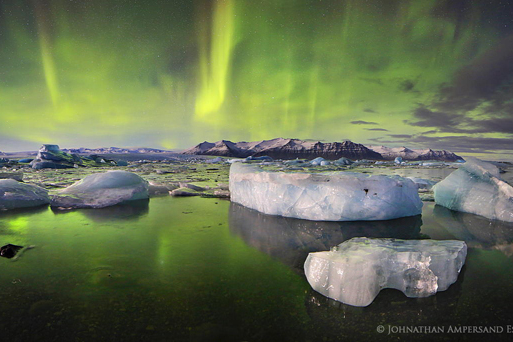 Spectacular glacial lagoons such as the remote Heinbergsjokull, then Stokksnes mountain the Vestrahorn area around Hofn, for sunset and auroras. Day 07. 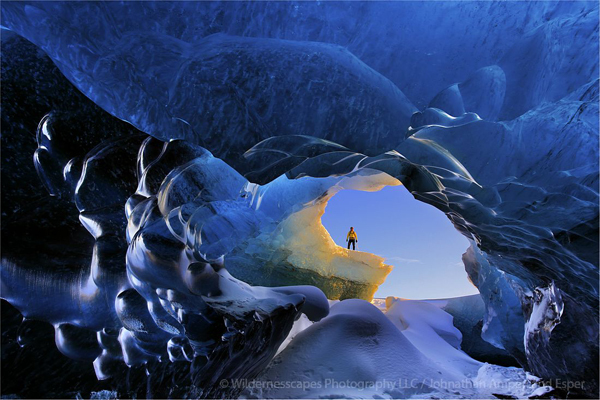 Ice caves with local guide. Day 08. 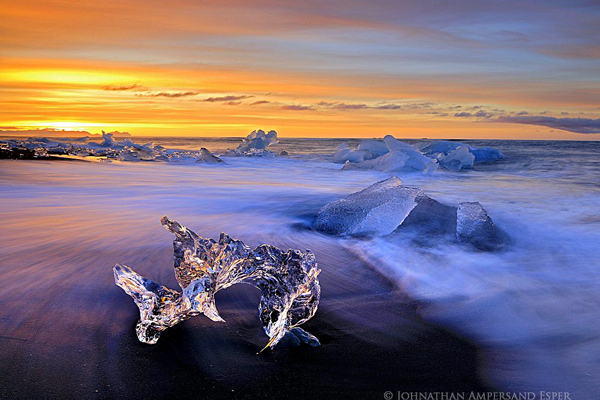 Full day at Jokulsarlon glacier lagoon and iceburg beach area, and other nearby glacial lagoons. Day 09. 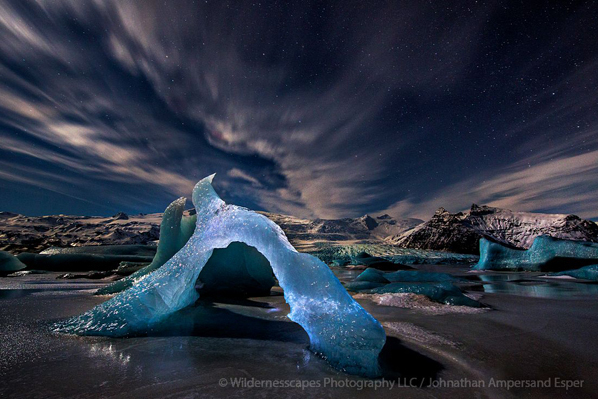 Jokularlon region wrapup ice photography, Skaftafell glacial and ice spectacles, including Svinafellsjokull glacier. Farm and rural scenes between Skaftafell National Park and Vik. Day 10. Sunrise over Dyroholey headland and Vik beaches before the tourist crowds. Then Skogafoss and Seljalandsfoss waterfalls in the morning, then drive to KEF airport for international departures by the afternoon. All meals unless stated otherwise. Accommodation in Hotels or Guesthouses with en-suite. All transportation in mini bus. Services of a professional photographic guide / driver. Return airport transfers may be extra. Non & Alcoholic Drinks, other than local water with meals. All flights to be booked with Mandy at Travel Counsellors. Ground arrangements only & internal flight. 4800.00 USD. SRS. 80 USD per night.